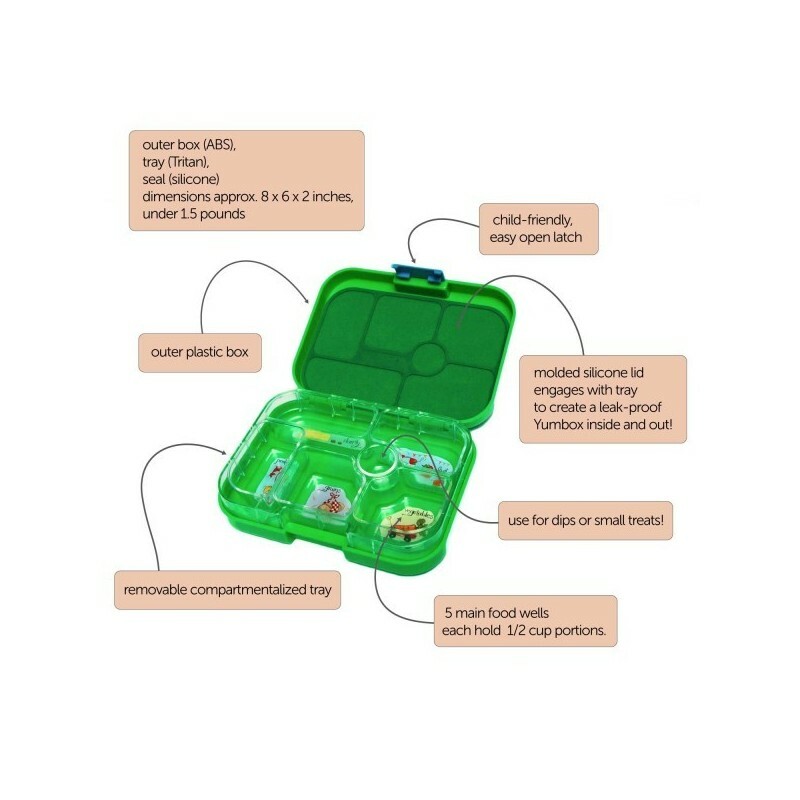 Brooklyn Green Yumbox Original bento-style lunchbox with 6 compartments and a single lid. 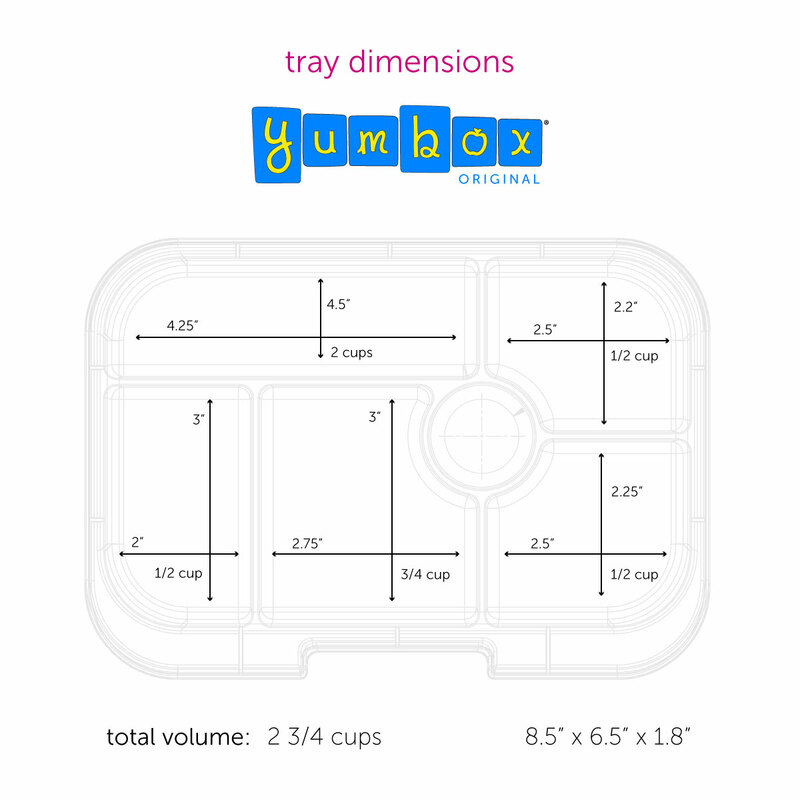 Perfect for children who like variety, the Yumbox Original is divided into 5 half-cup portions of the key food groups plus a dip/treat. Pack wet foods like yogurt and dips (but not water, runny liquids). Suits toddlers to age 8. Brooklyn Green is an "army" green with a New York themed tray. 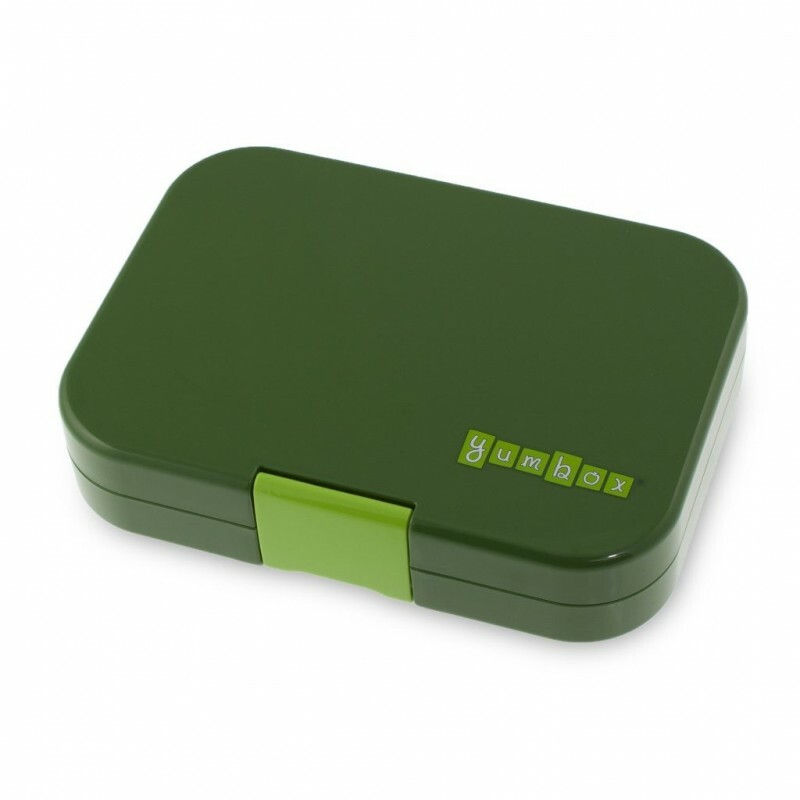 YumBox eliminates the need for zip-lock baggies, multiple lids, plastic wrap and single use disposable containers. 100% BPA free, Phthalates-free, CPSIA and FDA compliant. Easy to clean. The tray which fits snuggly in the bottom half of the exterior box can be removed easily for cleaning, packing or for at home use. The Original design is perfect for children under the age of 10. 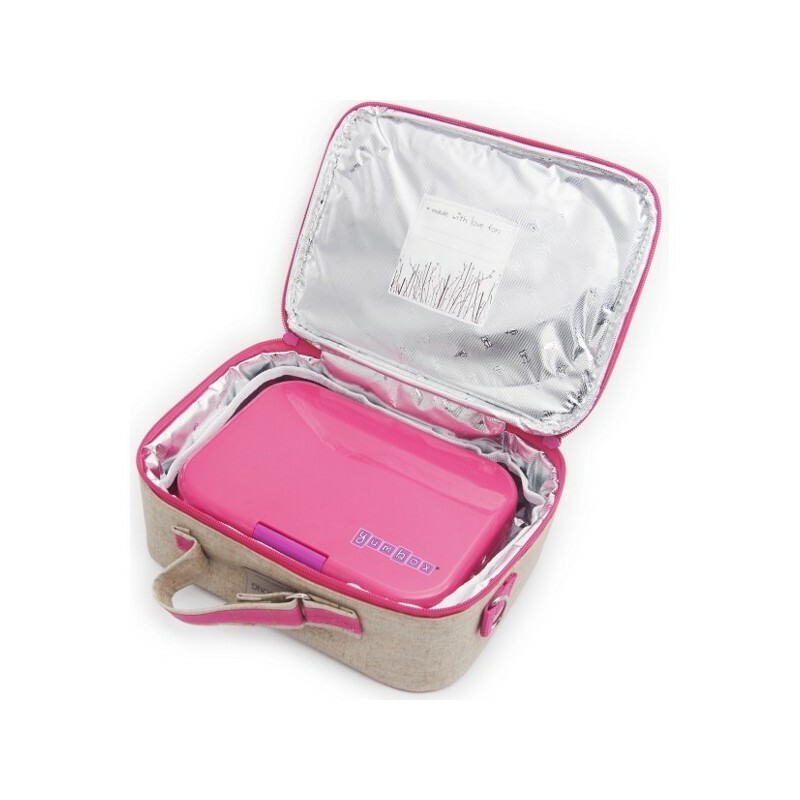 Perfect for my toddler - great size and LOVE that it is leakproof. I can see that in the future we will need something a bit bigger. Wish it wasn't plastic. Overall, a great, easy to use product. The six compartments are the perfect size for a toddler on the go, I can provide a lot of variety. Great size for fitting in my handbag or a nappy bag. It keeps the food brilliantly separated, no mixing and no leaks! It is sturdy and withstands rough treatment.